While recent media attention has focused on the joint SPDC/DKBA attacks on the KNLA in Pa'an District and the dramatic exodus of at least 3,000 refugees from the area of Ler Per Her IDP camp into Thailand, the daily grind of exploitative treatment by DKBA forces continues to occur across the region. This report presents a breakdown of DKBA Brigade #999 battalions, some recent cases of exploitative abuse by this unit in Pa'an District and a brief overview of the group's transformation into a Border Guard Force as part of the SPDC's planned 2010 election process, in which the DKBA has sought to significantly expand its numbers. Amongst those forcibly recruited for this transformation process was a 17-year-old child soldier injured in the fighting at Ler Per Her, whose testimony is included here. 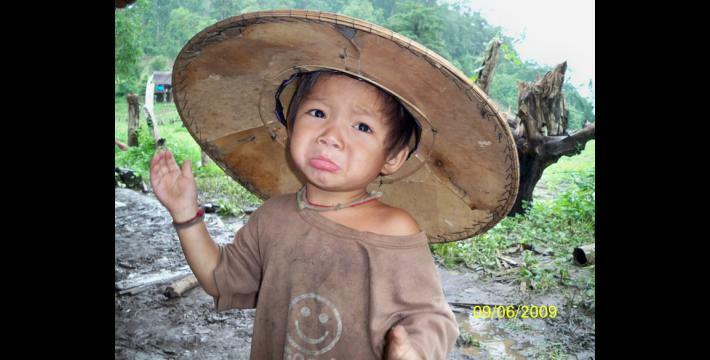 The Democratic Karen Buddhist Army's (DKBA's) recent attacks against Karen National Liberation Army (KNLA) positions in Dooplaya and Pa'an District since the start of 2009, and especially since early June, have made news beyond the narrow circle of regular Burma watchers. Throughout this time however, the DKBA has also continued daily exploitative practices, including forced labour, looting, arbitrary taxation and other forms of extortion. 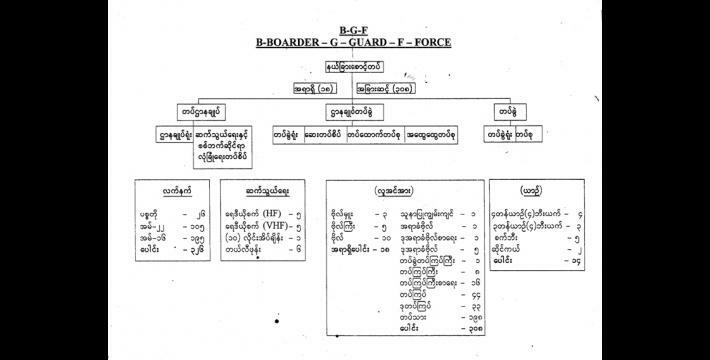 With the group's transformation into a Border Guard Force and reported expansion of troop numbers as part of Burma's 2010-election process, such exploitative abuses are likely to remain a problem for civilians in areas of DKBA operations. In Pa'an District, especially T'Nay Hsah, Dta Greh and Lu Pleh Townships, active DKBA troops are under the control of Brigade #999 led by Brigadier Pah Nwee. In the past, Special Battalion of Brigade #999, led by Maung Chit Thoo was active in T'Nay Hsah Township. However, between 2007 and 2008, Maung Chit Thoo was promoted to Brigade Operation Commander of Brigade #999. 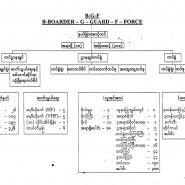 After his promotion, Maung Chit Thoo divided his Special Battalion into six separate battalions. There are thus nine battalions now under the control of Brigade #999. These are 'Loyalty' Battalion #1, Battalions #5, 6, 7, 8 and Battalion #999, all led by Maung Chit Thoo, and Battalions #1, 2, 3 and 4 led by Brigadier Pah Nwee. Pah Nwee also commands the Brigade Security Force. Even though Muang Chit Thoo now holds the position of Brigade Operation Commander, he currently wields more power than Brigadier Pah Nwee (who is officially his superior) due to the fact that he controls a greater number of soldiers. The chart below shows the breakdown of DKBA Brigade #999, including commanding officers, and areas of operation. "They [SPDC and DKBA] work together when necessary, but they [DKBA] are under SPDC control. When they want to do something, they have to inform the SPDC first. If the SPDC doesn't give them permission to act, they can't act. They can't do anything based on their own decision." "They [DKBA] often order us to do forced labour. Each time, they've demanded 5 to 10 people from our village for labour. They ordered me to collect my villagers as I'm the village head. Sometimes I can't provide villagers when they order me. So they scold me, blame me, punch me, hit my head and kick me. On March 2nd 2009, they ordered me to find people to go and serve as messengers and I couldn't find [anyone] for them. Then they started torturing me. Since they came to operate around our village, our villagers have not had time to rest. We've had to go to build their camp, dig trenches and build a fence around their camp." Aside from military attacks on KNLA targets, soldiers from DKBA Brigade #999 have continued to exploit local villagers in a variety of ways. This has included forced labour, arbitrary taxation, looting and other forms of extortion. 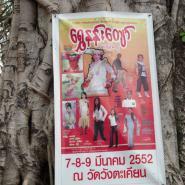 Such abuse has made it difficult for villagers to continue living in their village and some have therefore decided to leave for Thailand in order to avoid the ongoing abuse. In January 2009, DKBA Brigade #999, Battalion Security Force, Company #2, Commander Tun Myit Tun ordered a 45-year-old villager named Saw P--- to meet him on January 15th. However, Saw P--- was one day late in coming to meet Tun Myit Tun. When Saw P--- arrived, Tun Myit Tun fired his gun to frighten him and ordered him to buy 25 hammocks for his soldiers saying that this was punishment for being late for the meeting. Each hammock cost 13,000 kyat (approx. US $11.82). 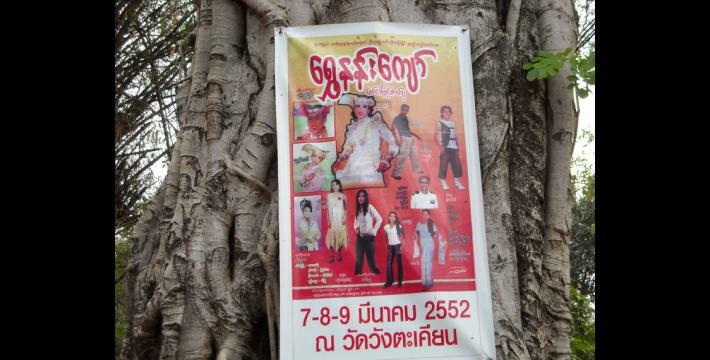 Saw P--- therefore had to pay 325,000 kyat (approx. US $295) for 25 hammocks. On January 3rd 2009, when 44-year-old Naw P--- from T--- village, Dta Greh Township, was in her shop, Pah Wah Gkay, an officer in charge of DKBA Brigade #999's heavy weapons, entered with five DKBA soldiers and ordered Coffee-mate (milk powder), sugar, snacks, cheroots, betel nuts and betel leaves from Naw P---'s shop. The total cost of the items was 10,000 kyat (approx. US $9.10). The shop owner told Pah Wah Gkay that he had previously taken many things without paying for them. In the past, when he had taken things from her shop, he had ordered the village head to cover the bill but the village head had still not paid for anything. At this statement, Pah Wah Gkay became angry and fired his guns four or five times and one of the bullets punctured a pot valued at 25,000 kyat (approx. US $22.73). 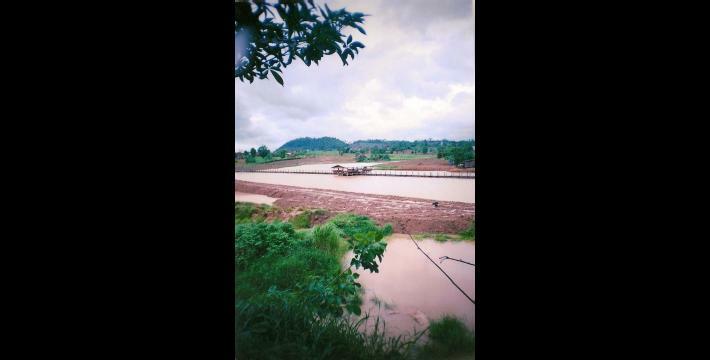 On April 5th 2009, the DKBA #999 Brigadier Pah Nwee ordered DKBA officer Maw Lah Wah to collect money to buy petrol for the DKBA's bulldozers to reconstruct the vehicle road connecting Dta Greh Nee village to Htee Bper village. The aim was to send rations to the DKBA troops operating at the frontline. 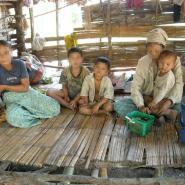 The residents of Dta Greh Nee village had to provide 260,000 kyat (approx. US $236) to the DKBA to cover the cost of the petrol. In addition, villagers have also reported that DKBA soldiers have looted and killed their animals when the soldiers have entered their village. The table below shows a selection of incidents involving looting and killing of animals in Dta Greh Township between March and May 2009. Ko Ko Gyi and Ko Ko Lay, soldiers from the Battalion Security Force and brothers of Battalion Security Force Column #2 commander Tun Myit Tun, entered Dt--- village and shot two goats valued at 43,000 kyat (approx. US $39.10) without asking permission from the owner. DKBA Brigade #999 soldiers shot and killed a male goat valued at 20,000 kyat (approx. US $18.18) without asking permission from the owner. DKBA Brigade #999 soldiers entered Dt--- village and shot and killed a female goat valued at 18,000 kyat (approx. US $16.36) without asking permission from the owner. Two DKBA Brigade #999 soldiers under company commander Maw Lah Wah shot and killed a goat valued at 18,000 kyat (approx. US $16.36). DKBA Brigade #999 soldiers under company commander Maw Lah Wah looted two roosters and three hens. On April 15th 2009, DKBA Brigade #999 officer Maw Lah Wah ordered elephant owners in Dta Greh Township to pay an 'elephant tax' of 200,000 kyat (approx. US $182) per elephant. However, one local elephant owner named Saw P--- from T--- village responded that in Lu Pleh Township, the DKBA demanded only 100,000 kyat (approx. US $91) as tax for one elephant. Saw P--- then asked why the elephant tax had been raised in Dta Greh Township alone. The DKBA officer responded that there were more elephants in Lu Pleh Township than in Dta Greh Township and so Brigadier Pah Nwee had increased the tax in Dta Greh Township. Realising that further argument was futile, the elephant owner paid the money. As part of the conditions set out for the military's planned 2010 elections in Burma, ceasefire groups like the DKBA have been given the option of disarming and becoming a political party or transforming into an armed Border Guard Force. Unlike the other large ceasefire groups, the DKBA has already agreed to transform itself into a Border Guard Force. This transformation will entail the removal of any ethnically-specific reference in the group's name and a reported expansion to 9,000 soldiers. In order to meet this expansionary goal, the DKBA has already begun recruiting more soldiers from amongst the local civilian population. "On February 14th 2009, DKBA officers ordered every village head in Dta Greh Township to attend a meeting which was held on February 15th 2009. The reason for calling the meeting was to start recruitment [of new soldiers]. In the meeting, they demanded between 40 - 50 villagers from each village tract as new recruits... They ordered the village heads to send the villagers on June 15th 2009. There are a total of 650 villagers [to be recruited] from all of the village tracts [in Dta Greh Township]. They also said that the SPDC will provide weapons for the new DKBA soldiers. Those who are going to be soldiers have to attend military training and after the training they can come back and work in their villages. Whenever the civil war or fighting occurs, they have to bear their arms and fight. 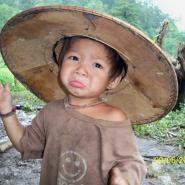 Moreover, the [SPDC] will give food and 25,000 kyat [approx US $22.73] as salary for new soldiers." "DKBA soldiers have forced villagers to join the DKBA. There are very few villagers who want to join the DKBA. Most of the time DKBA soldiers force villagers to join their army, even though the villagers don't want to join. If villagers who have been forced to be DKBA soldiers flee from the DKBA army, if they cannot catch them, they go to find the relatives [of those who fled and demand an alternate recruit or cash in lieu]." "My village is Ht---. In 2008, the DKBA recruited 10 villagers in my village to join the army. I had to drawn a lottery ticket and then [due to the ticket that he drew], I had to join the DKBA for three years. A DKBA commander told me along with the other villagers who had to join the army that after three years in the army, we would be paid 180,000 kyat [approx. US $163.64] each. For this attack in Pa'an District, the order came from the SPDC. The SPDC told the DKBA commanders that if they could wipe out the KNU camps in Pa'an District, the SPDC would give them an opportunity to do business trading logs. Also, the SPDC added that if they won the attack against the KNU camps in Pa'an District, the SPDC would give a car to each DKBA commander as an award from the SPDC. Also, each of us [soldiers] would be awarded with a watch that costs 4,000 [Thai] Baht [approx. US $116.48]. Those DKBA commanders plan to attack Thaton District after attacking Pa'an District. 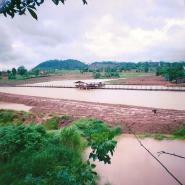 The DKBA came to attack Pa'an District along with 200 Burmese troops and 1,000 DKBA soldiers. DKBA soldiers asked the SPDC soldiers to go and attack at the frontline but the SPDC soldiers didn't give them any regard and didn't do as they said. However, DKBA commander Saw Hsar Muh Say of Battalion #207 ordered us to go and fight at the front line. Commander Saw Hsar Muh Say stayed behind along with the Burmese Army and gave an order that the soldiers had to fight at the frontline and also had to plant landmines. It's like the DKBA commanders ordered us to die." The humanitarian fallout from the recent joint SPDC/DKBA attacks against the KNLA in Pa'an has received relatively more media coverage that has been common for Karen State. However, there has been far less attention on the DKBA's daily extortion and mistreatment of the civilian population. With the transformation of the DKBA into a Border Guard Force and the group's reported expansion to 9,000 soldiers, DKBA operations and exploitative abuses against villagers in Pa'an District are not likely to end following next year's planned elections. 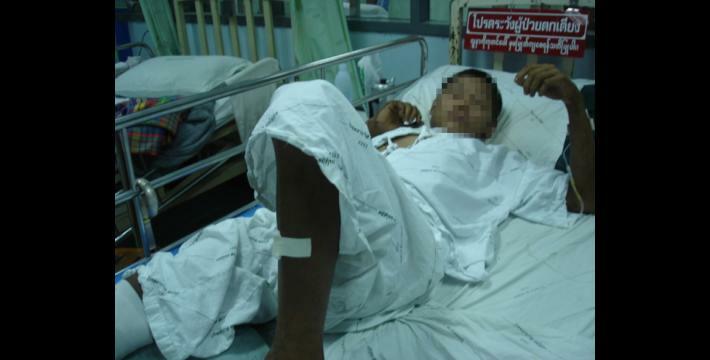 "Shoot first, talk later in Myanmar," Brian McCarten, Asia Times Online, June 25th 2009. For recent accounts of the DKBA's forced recruitment in Pa'an District, see Joint SPDC/DKBA attacks, recruitment and the impact on villagers in Dooplaya and Pa'an districts, KHRG, May 2009. The KNLA is the armed wing of the Karen National Union (KNU).